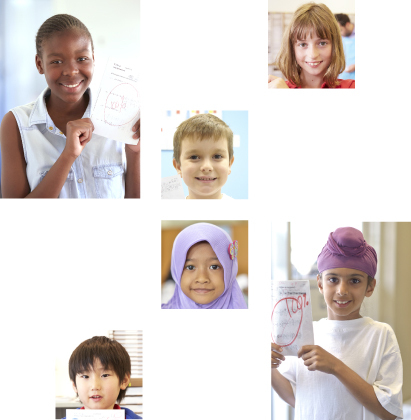 More than four million students* in more than 50 countries and regions are studying with the Kumon Method. The Kumon Method is aimed at building up the basic academic skills of reading, writing, and maths regardless of a student’s age. It is an individualised study method that enables students to become self-learners. The positive results of study with the Kumon Method have been recognised. Toru Kumon, a high school maths teacher, began providing education-based on the concept of self-learning to his son, Takeshi, then a second grader in elementary school. He wrote numerous calculation problems on loose-leaf paper for his son. This was the origin of the Kumon Method. The first Maths Centre using Kumon Worksheets is opened in Moriguchi city, Osaka. 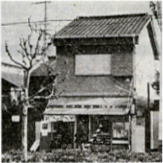 Toyonaka Uenozaka Centre where Toru and Teiko Kumon instructed students together (circa 1965). The Osaka Institute of Mathematics Ltd. is established. The first Kumon Centre is opened in Shinjuku, Tokyo. The total number of subject enrolments exceeds 10,000. The total number of subject enrolments in Japan exceeds 200,000. The total number of subject enrolments in Japan exceeds 500,000. At this annual conference, Instructors develop their understanding of how to instruct students with special needs and receive practical advice for how to apply what they learn in their Centres. The total number of subject enrolments exceeds 1 million. The total number of subject enrolments in Japan exceeds 1.5 million. Kumon is reorganised into a group management structure. GC&T is in charge of promoting the TOEFL Junior® and TOEFL Primary® tests in conjunction with its partner ETS (Educational Testing Service), the world’s largest nonprofit test development organisation. The first overseas Kumon Maths Centre opens in New York. It was with the opening of a Kumon Centre in New York in 1974 that the provision of Kumon Method study outside Japan first began. Initially, most students at this Centre were the children of Japanese expatriates. However, as the effectiveness of the Kumon Method became more widely known, local children began to enrol. Today, Kumon has established itself as a provider of quality education for local children through local Instructors in many countries around the world. The total number of overseas subject enrolments exceeds 10,000. A public elementary school in the United States implements Kumon Maths. When the vice principal of Sumiton Elementary School in Alabama saw a TV program about Kumon she became convinced of the efficacy of the method and felt that it could really help her students to get over their aversion to maths. This was the first time that the Kumon Method was utilised in regular school classes outside of Japan. The results were even greater than expected and this achievement was hailed as the “Miracle of Sumiton” in a variety of media. This publicity led to greater awareness of Kumon and the establishment of more and more Centres around the world. The total number of overseas subject enrolments exceeds 200,000. The total number of enrolments in the world exceeds 2 million. The total number of overseas subject enrolments exceeds 500,000. The total number of overseas subject enrolments exceeds 1 million. The total number of enrolments in the world exceeds 3 million. The total number of overseas subject enrolments exceeds 2 million. The total number of enrolments in the world exceeds 4 million.